Malta became a famous destination for cruise holidays for many reasons. One of the main reasons is the strategic position of the Maltese Islands, positioned in the centre of the Mediterranean. The Mediterranean has always been an iconic holiday destination for all kind of travellers, and with cruise liners it became much easier to visit more than one Island in just one holiday. The scenic views of the Mediterranean coast shows thousands of years of history and culture decorated with beautiful sandy beaches complimented by sunny weather. This amazing video by VallettaWaterfront shows some of this magic! For many years the port of Valletta has been regarded as one of the most beautiful ports in the world. Its imposing bastions act like they are guarding a treasure of history, architecture, culture and art inside the cities. Another advantage of visiting Malta during a cruise holiday is that Malta is a small island. This makes it possible for travellers to visit various attractions in just one day without the need of long hours of driving. Many travellers are impressed with what Malta can offer and choose to visit Malta for another holiday, this time a longer one. As Malta is connected with all major airports in the world, it is ideal as a point of departure of your holiday. That being said, Malta is also ideal for pre or post cruise stays, one can rest assured that it will be as enjoyable as the cruise itself. While the Grand Harbour is the doorstep of cruise liners, minutes away one can find various excursions. Just 10 minutes away by walk, one can visit Valletta, the capital city of Malta. Valletta is a historic city rich in culture, shops, cafeterias and churches; basically what one expects from a capital city and much more. The three cities, Bormla, Isla and Birgu are also just a few minutes away by a taxi or by public transport. These three cities showcase Malta’s maritime fortunes and demonstrate the authentic life of the Maltese population. For those that will be spending the night in the Maltese port, one can visit Sliema and St. Julian’s. These areas are famous for nightlife, bars and restaurants. One can also walk along the Sliema promenade and admire the Maltese waters and traditional boats. The Valletta waterfront Cruise Terminal is also a one-stop shop where cruise ship passengers can find anything they need. The Valletta waterfront is also the home of many popular restaurants where one can choose from traditional food to international food chains such as the Hard Rock Café. One can also find all facilities that one can think of, such as porter age, tax-free shipping, check-in luggage facilities, transport and also tourist information services. 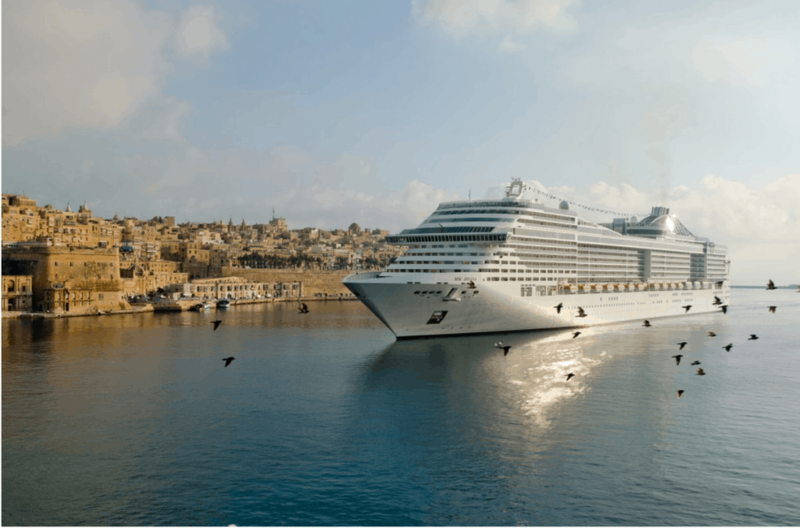 This is why Malta managed to become one of the major cruise holiday destination.